Remu's adoptive sister. She was a participant of Next Life (NLN), a virtual space utilizing neural-linked nanomachines that broke down and the participants entered in coma or died. That event was known as "Early Rapture," the worldwide simultaneous mind-loss event. 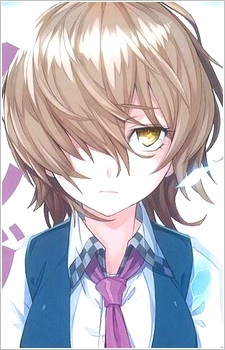 She was supposed to be in a coma but she woke up alleging that she is not Shiki but "Poem," a soul belonging to another body that has unexplainable powers and that a unidentified organization is trying to kill. Remu joins her in the search of her true identity and body, while also searching for the soul of his sister.